But, after putting up a very simple notice on our Software page, I never got back to putting together a proper home page for MeshCAM here at CNCCookbook. We sold a bunch of it, but I can’t help but think we could’ve told the story a little better. So, today I put up a new home page that I think does tell that story considerably better. 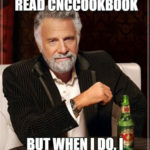 It is accessible from our Software page (just click the “Software” menu at the top of any CNCCookbook page) or you can just click this link here if you want to take a look. 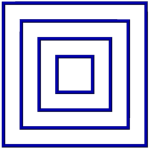 The essence of what MeshCAM is all about is simplifying the CAM experience. I hear from countless beginners about how painful it is to learn the CAM software for the first time. I went through it myself, and even though we’re partnered with multiple CAM vendors and I’ve learned a lot of packages, it’s still hard to pick up yet another one. You experienced hands who’ve been through it will know what I mean. 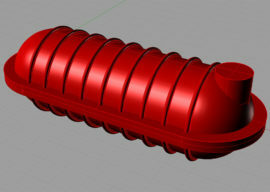 Beginners have enough learning curve without having to fight with the peculiar jargon and style of most CAM software. Robert took a different approach. Realizing there are lots of CAM programs out there competing to see which could be the most powerful, he decided to see which could be the easiest and quickest to learn. The result is MeshCAM. It may not be the last CAM software you’ll ever need, but it will always be the easiest software you can turn to. I have had users tell me that even though they own full power high end and very expensive CAM software, they like to use MeshCAM to create fixtures. It’s not very complicated to machine most fixtures, and MeshCAM makes it easy to whip them out in a hurry. I think there’s a case to be made for most anyone to have access to a quick and easy CAM package, but it’s particularly helpful to beginners. 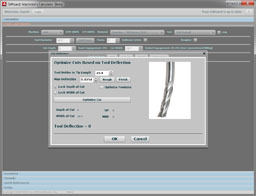 The thing is, you’ll need several software packages to get started with CNC. 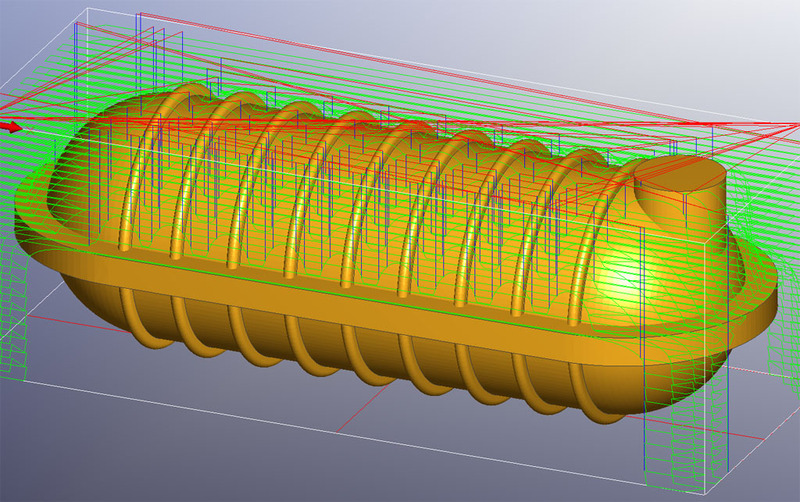 We’ve studied them all and compiled a special guide to the Best CAD CAM Software for Beginners. It’s got buying guides, tips on evaluating the best packages for you, and best of all, it has guides to some of the most smoking secret deals on CNC Software out there. These are deals almost nobody knows about. There’s even an amazing deal on MeshCAM from us (way less than $250), so check it out! Using MeshCAM, I knocked out the g-code for this crazy finned aluminum oil tank for a Harley motorcycle in less than 10 minutes! I’m a bit confused. As a beginner, does this mean that if I buy MeshCAM and G-Wizard, I do not need another CAD program? Mike, MeshCam is CAM software, not CAD. You will need a CAD program to go with it. Bob, would it be possible to us Onshape files with MeshCam. The out put from Onshape doesn’t look right to use them together. Great program Onshape, thanks for the heads up.